Abelene Schuur was born on September 12, 1917 on the family farm in Moulton Township of Murray County Minnesota to Leonard and Jennie (Lolkus) VanderBurgh, both immigrants in 1893 from Zuid Holland, the Netherlands. Abelene was the 7th of 8 children and the youngest daughter. She was named after her grandfather Abel VanderBurgh and was baptized and made profession of faith in the Chandler Reformed Church where her parents had been charter members in 1911. She and her family moved to a farm one mile east of Leota where she started school. After seven years, they moved back to the farm two miles south of Chandler where she was born. She graduated from 8th grade at District #83 school, which was four mile round trip walk, and then worked on the family farm milking cows and other chores and learning household arts. Abelene attended school and church with Henry Schuur, also a son of Dutch immigrants, Hemert and Bertha. After a four-year courtship, she married Henry "Hank", the love of her life on January 26, 1939 in the same house she was born in. They started their life together at a farm near Lake Wilson. In 1946, Henry, Abelene and their sons, Harlan and Rodney moved to Chandler where he operated Schuur Implement on Main Street. The family increased with the addition of Milton, Sharolyn, Clark, and Curtis with an 18-year span from oldest to youngest. The first two children were home births, the next two were born at the Home Hospital in Slayton, and the last two at the new hospital in Slayton. In 1958, the family moved to a farm south of Chandler across from the cemetery. Henry and Abelene retired to Chandler in 1987 where Henry passed away on August 28, 1998 after nearly 60 years of marriage. Her sadness was doubled when her oldest son, Harlan passed away on January 20, 1999. 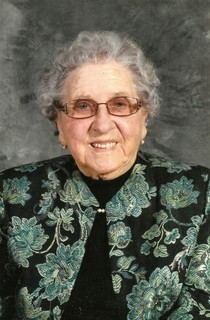 Abelene enjoyed a full and active life and had many talents and interests. She loved being a homemaker and was known as a skilled baker, seamstress, and hairdresser. She loved to sew clothes for her children and also for others. Many women enjoyed her weekly hair sets and she even gave perms. As was the norm in those days, she grew her own vegetables, raised chickens, and preserved all for the winter use. Abelene and Henry served as church custodians along with Abelene’s mother. A special treat was bread pudding using bread crusts after communion as one of the custodian’s jobs was cutting up the bread. She and Henry were faithful members of the Chandler Reformed Church where Abelene was active in Girl’s Circle, Ladies’ Aid, RCW, and enjoyed working in the kitchen. Henry and Abelene enjoyed traveling and had a motor home in their later years. They went to the Netherlands in 1973 and met relatives who still lived there and saw the homes where their parents had lived. The two of them went to Holland twice more together and Abelene went for the final time in 2002. They have hosted many Dutch relatives at their home over the years and both retained the ability to speak and read the Dutch language. They visited California many times where Abelene’s sister and brother lived and south Texas in their RV several times. People were always more important to them than sightseeing, and they made a point to visit people on their travels. Abelene had a close relationship with all of her siblings and in-laws and their families throughout their lives with frequent gatherings, and especially enjoyed visits from nieces and nephews in later years. Her children and their families were so important to her and her face would light up each time they came to visit. Abelene liked to show her love with food and it was important to her that every visitor was served at least a snack. Birthdays were special to her and she liked to remember others on theirs. She was so happy that all of her children lived nearby and her 5 sons and later grandsons worked together in the family concrete business. She also took joy in the fact that her oldest grandson and his family lived on the home place. In her last years at home, her children took turns helping her to remain in her home, along with her granddaughter, Amber, and her caregiver for nearly five years, Ramona Ebbers. Her friend of nearly 90 years, Margaret DeGroot who walked to and from school with her all those years ago was a weekly visitor on Sunday afternoons when they reminisced about the good old days and enjoyed a card game. On February 13, 2017, Abelene was hospitalized with a respiratory illness, and was then admitted to Edgebrook Care Center on February 21 and then to Hospice of Murray County House in Slayton on March 16 where she passed on Friday, March 31, 2017. Also remembering Abelene are her brother, Abel VanderBurgh, Hemet, California, and sister-in-law, Julia Schuur, Luverne, MN, and many nieces and nephews. Going on ahead were her husband, Henry, son, Harlan, daughter-in-law, Audrey Schuur, granddaughter, Vickie Schuur, her parents and parents-in-law, her brother, John & Margaret VanderBurgh; sisters, Hattie & Hillie Beckering, Johanna & John DeGroot, Emma & Steve Pool, Alida & John DeBoer, Bertha & Peter Youngsma; In-laws: Henrietta & Felix Kluis, Alice & Klaas Groen, Nellie & Arie Olivier, Gilbert & Sylva Schuur, John Schuur, Jennie & Hilko Grimmius, and several nieces & nephews.